Did Leonard Nimoy fake his own death, and is he the secret leader of the Illuminati? 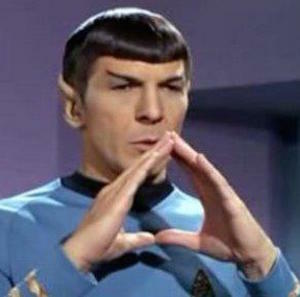 Did Leonard Nimoy order the Illuminati to kill Justice Antonin Scalia? If you follow only the corporate media, you may presume that this preposterous theory is a widespread belief among "conspiracy theorists," and that the average American news reader cannot discern that Hard Dawn is very clearly a government disinformation website, at the worst, or an irresponsible satire page, at the best. For many years here at Abreu Report we have been laboring tirelessly with our only objective being to deliver the truth. We have been not only ignored, but our stories have also been suppressed. When we broke the story on the 23rd of January about the possible link between the Zika virus and Oxitec's transgenic mosquitoes, the mainstream media attributed it to a Reddit post on the 25th. There used to be a time when the corporate media would completely fail to report on "conspiracy theories," but that's not the America we live in today. The people know that Edward Snowden is exiled by a tyrannical government that wants to spy on the entire world. The people know that there are 28 classified pages in the 9/11 Congressional Report detailing involvement in the worst attack on our nation's history not just by Osama bin Laden and a cohort of his followers, but also by elements within the Saudi monarchy, and thereby possibly implicating the Bush family. Our founder Jose Abreu has been at war with the military-industrial complex since his college days, and in 2007, when he was a junior at Yale University, he issued an open challenge to any student or professor who would be willing to debate him in regards to his doubts about the official 9/11 story being espoused by the George W. Bush regime. At the time, the alternative media reported that the Yale administration was trying to do what it always did: "silence dissent." No one openly challenged Jose Abreu. In fact, one could say that the silence was terrifyingly deafening. A junior at Yale University, a man from a prominent Dominican political family, starts a website challenging the Bush 9/11 narrative and everyone remains silent, everyone is too afraid to even talk about a possible alternative scenario to the attacks of September the 11th. It was that panic shown by the entire student body that convinced our founder that the American people were living in absolute fear of their government, and that the cognitive elite would rather embrace cognitive dissonance than accept the fact that their government was willing to allow the death of 3,000 of its own civilians, so that a "new Pearl Harbor" could be used to "Rebuild America's Defenses." Nearly a decade later and the corporate media can no longer ignore Abreu Report. We are today the largest non-Jewish-owned English-language Dominican publication, a prominence which we have achieved with absolutely zero financial assistance from any group. Now that the mainstream media can no longer ignore our massive readership, they have resorted to a classic KGB tactic: disinformation through excess information. No one can deny that the Bush family has a lot to answer for, and no one can deny that Justice Scalia's death perhaps warranted more than a declaration of death over the phone, but those doubts can be disrupted by highly-skilled government disinformation agents who dedicate themselves to defending the official narrative that Osama bin Laden was the only one responsible for the attacks of September the 11th. We all know that Osama had US government assistance, and it's time for the Bush family to confess.